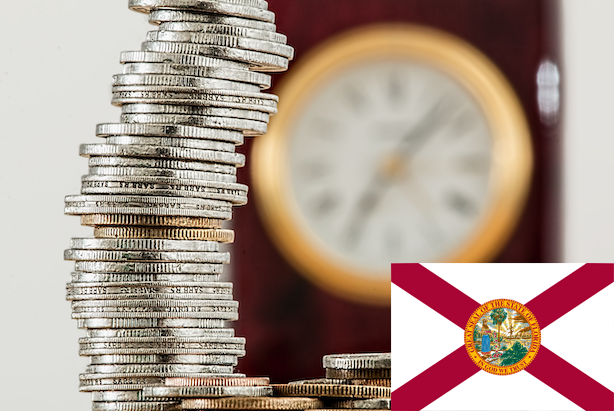 As of January 2019, Florida’s current minimum wage of $8.25 per hour will be raised by 2.5 percent to $8.46. Florida’s minimum wage rates are not set by a new law each year, that would be difficult to accomplish. Instead, the Florida Minimum Wage Act (FL Stat. 448.110) gives authority to the Florida Department of Economic Opportunity (DEO) to set the new rates each year based on the Consumer Price Index for Urban Wage Earners and Clerical Workers, not seasonally adjusted, for the South Region. Brace yourselves. 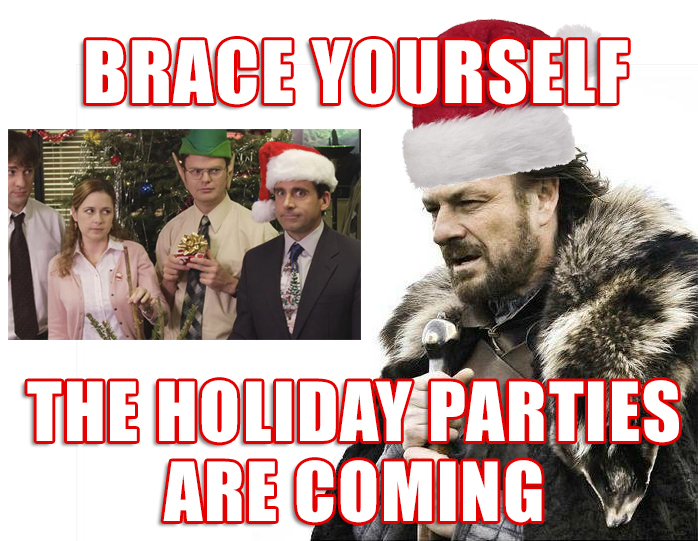 The holiday parties are coming. Do you have your ugly sweaters and white elephant gifts ready? If you are a business owner, one thing you should have ready is a sensible plan for your company’s holiday party to address a number of legal, business, and risk issues that can creep up on you like the Grinch creeps up on Whoville during the holidays. This article contains some tips and best practices to consider in planning your company or organization’s holiday party. Don’t worry, I’m not a total buzz-kill. After you read through the serious stuff, there are some fun suggestions and links to ideas for livening up your company’s holiday party. Remember, it’s the most wonderful time of the year! Happy Festivus, Happy Christmahanakwanzika, or… Happy Holidays? Contrary to your own preferences and sensibilities, it’s 2018. Try to make the holiday season as non-denominational as possible to avoid creating a hostile work environment or feelings of discrimination. Does that mean you to strip all religious or cultural references? That might be a prudent path. Your company should have an atmosphere of diversity inclusiveness throughout the holiday season and the entire year. Some companies even decide to make the holiday party more of a “End of the Year” party to celebrate all of the hard work and achievements of their team throughout the year. Please Drink Responsibly… or Not At All. In your invitations, have a clearly defined start and stop time to limit the scope of your liability. Make it clear that all company policies, such as your employee handbook and sexual harassment policy, are applicable to the event. Following the Harvey Weinstein scandal and ongoing #MeToo movement, it has been reported by global staffing firm, Challenger, Gray & Christmas, in their Annual Holiday Party Survey (2018) that the number of companies serving alcohol at holiday parties has seen a sharp decline. In 2016, prior to #MeToo, 61.9% of companies surveyed chose to serve alcohol at their holiday parties. In 2018, that number is at 48.5%. Fear of harassment situations and claims is a large reason for the decline. Finally, if you choose to have alcohol at your holiday party, you should communicate, in writing, that employees should drink responsibility and that drunken or unprofessional behavior will not be tolerated. You might even consider having someone from your leadership team, or yourself, monitor the event to ensure that no one is ruining the holiday fun for everyone. So the question… is your company a vendor or social host? You are likely a social host, however, your exact status could depend on how you are arranging the event (i.e. professional caterer as the vendor, self-service where you buy/serve the alcohol via a cash bar, etc.). I’m not going to give you an answer on your status, because it could depend on a number of factors and you should consult your lawyer. Additionally, in your vendor contract, there could be an indemnification clause where you have agreed to “indemnify, defend, and hold harmless” your vendor for “any and all liability related to the sale or service of alcohol at a group function” (yeah that legalese clause you skimmed over is quite important). Your lawyer should assist you in you reviewing and analyzing all vendor contracts so that you clearly understand what you are bargaining for and agreeing to. However, one thing should be obvious, serving alcohol to someone who is under 21 is a terrible idea. Even if you aren’t a “vendor” who could be liable under 768.125, if you allow this to happen you could be guilty of a criminal offense, specifically Florida Statute 562.11(1). Therefore, be aware of your underage employees and provide a list, with pictures, to the bar staff. You should also consider implementing arm-bands and/or drink vouchers to clearly indicate who is a legal drinking age. I know what you’re thinking or going to ask… No, you can’t be accused of age discrimination if you are upholding the law and do so in a reasonably prudent way (i.e. don’t say if you’re underage you can’t come to the company holiday party nor should you pick a venue that forbids underage individuals). For the second part of 768.125, relating to “person(s) habitually addicted to the use of any or all alcoholic beverages.” First, see analysis above, if you are a “vendor” or a “social host”. Second, if you have knowledge of an employee’s alcohol addiction, this can be a slippery slope, because you do not want to publicly exclude or embarrass them for something that a lot of people struggle with. At the same time, you want to limit your liability and ensure safety for everyone, especially innocent motorists. You should work with your legal counsel and HR department to make sure that you are operating within privacy laws, employment laws, and common sense & decency. If you are hiring a vendor or a caterer, they obviously don’t know about your employees’ alcohol addictions. However, it could be argued, depending on your contractual relationship, that they are operating as your agent. Read the fine print and talk with your lawyer. If you’re outside of Florida, your state could have different laws than the foregoing. Therefore, you should speak to a local attorney who can help you (contact me if you would like some recommendations). Provide Employees With a Ride and Parking – Consider providing Uber, Lyft, Taxi, or Car Services from your event to ensure they are safe. You can purchase promo codes through ride-sharing services and even negotiate a special rate with taxi companies and car services. If you do this, your employees will know that you care about their safety. Drink Tickets and Service Limits – Setup a drink voucher system to limit the alcohol consumption to a reasonable level. To make it fun, have special “themed” drinks or cocktails setup at various stations. You should have a clear time where alcohol service is cut-off, then start serving alternative beverages such as coffee, tea, or even hot cocoa (who doesn’t love hot cocoa?!). Use a Professional – Do not have a self-service system for employees to get their own drinks. Also, you should not allow employees to serve alcohol to other employees. Hire a professional catering service with appropriate licensing, permits, and training. Follow the Leaders – If you and your leadership team are excessively drinking, good luck making sure your employees stay responsible. You should lead by example. Family Friendly – Depending on your team, and you know them best, you might decide to not have alcohol at all, or to limit alcoholic beverages to beer and wine. I know that can be easier said than done. However, it’s easier to justify and implement if you make the holiday party a family-friendly function. This also makes it easier for more of your employees to attend if they can bring their children and don’t have to find childcare. As discussed above, statistics show that you won’t be in the minority. A growing number of companies are eliminating alcohol from their holiday parties. The holidays are a busy time. Between family, professional, and community commitments, most people feel that there isn’t enough time from Thanksgiving to New Year’s Eve to attend every event they are invited to. This means that some of your employees might not show up to your Holiday Party, especially if it’s a lame party (see below for some fun tips!). Unless it is a clearly defined responsibility or duty of your employees, you should not expect them to attend and you should not shame those who are absent. Some people might have religious, family, or other reasons for not attending. Additionally, you should advise your managers and supervisors not to mention an employee’s absence at a holiday party and also discourage other employees from doing the same. It can be easy during an employee’s review or discussion on “teamwork” or “culture” to point out someone who didn’t attend a holiday party. If they didn’t attend for a specific reason, and are later singled out or feel hostility, you could find yourself in a compromised situation. Also keep in mind, if your holiday party involves clients and certain employees who are required to be there for networking and client retention purposes (e.g. sales executives, client-facing employees, etc.) or you have employees who are helping run your holiday party, be cognizant that you should likely compensate them for their time, especially if they are hourly employees or independent contractors. For salaried employees, make attendance a part of their job description and expectations if necessary. Depending on the size and scope of your holiday party, or any company event for that matter, you might want to consider an insurance rider or special policy for your event. These types of riders and policies are relatively inexpensive, and they are a good risk management habit. All it takes is one mistake or accident and you could find yourself facing a mountain of liability. Contact your general liability and workers’ compensation insurance providers to understand your coverage, limits, and any applicable exclusions (i.e. your coverage or exclusions for company-wide off-site events). Additionally, if you are having the company party at your home, ensure that your homeowners’ insurance and any umbrella policies you might maintain provide you with the proper level of protection. Be aware that there could exclusions or limitations in your policy for non-personal, business gatherings hosted at your home. Therefore, you might need a rider or separate policy for the event. 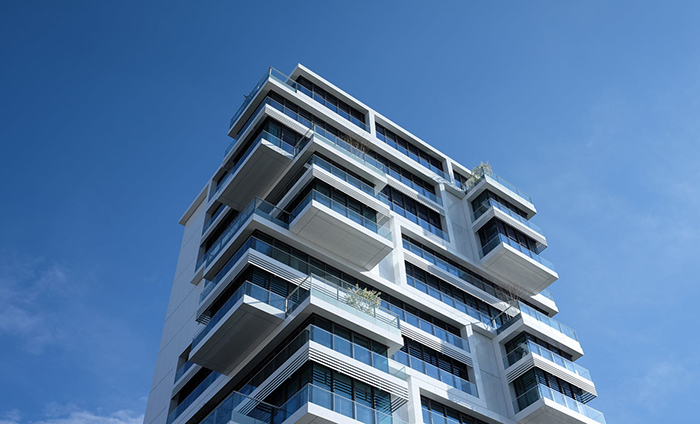 If you choose to have your event at a special venue, ensure that the premises’ owner and/or operator have adequate insurance and that all of your vendors (e.g. caterers, bar staff, entertainment, etc. ), especially those serving alcohol, are also insured and have up-to-date licensing and permits to perform their duties (i.e. food services, liquor/alcohol licensing, etc.). Most event coordinators or venue operators will (or should) make this a requirement for their subcontractors. However, it never hurts to ask and it shows that you are paying attention to the details. At the end of the day, you do not want your company to be the deepest available pockets if something happens. Your lawyer can assist you in engaging your vendors and venues. Lastly, do a site inspection of the facilities in the weeks before your holiday party to make sure they are safe and have all necessary accessibility and access requirements under local, state, and Federal laws (e.g. American’s with Disabilities Act – ADA). Once again, you want to ensure safety and accessibility so that everyone can enjoy the party. Ok… enough of the Debbie Downer ruins the holidays routine. Here are a few ideas to make your holiday party a fun and memorable event! Give Back – Consider having a charitable element to your holiday party. My good friends, Christina Anton Garcia and John Castro of Anton Castro Law in Tampa do this wonderfully by making their holiday party a donation drop off for Toys-for-Tots! You should see the mountain of toys that they are able to donate to children in need. Employee Entertainment – You likely have some talented employees in your company (they could be hiding). Forming a “company band” to play holiday songs and other popular songs, is a great way to build teamwork and feature your own “rock stars”. Give your employees something to remember and grab the mic and serenade them yourself. However, you might end up on Youtube… like this boss. PLEASE do not sing the song that he chose. Cooking Competition – Hire a locally-recognized chef to have a cooking class and teach your team how to make various holiday dishes. You can even have a “Top Chef” competition between various departments and teams. This can be a great team building activity and you give your team members something that they can share with their friends and family throughout the holiday season–delicious dishes! 9 Corporate Holiday Party Ideas Your Employees Will Be Talking About for Weeks – INC.
15 Office Holiday Party Ideas for Teams of Every Size (and Budget) – Justworks, Inc.
How Can CERV LAW Help You? 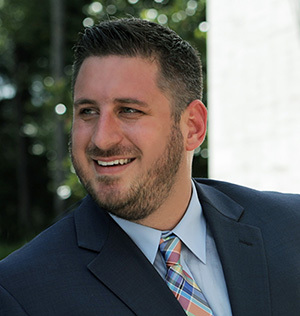 If you have specific questions about the issues raised above or if I can be of assistance to you or your company in any other matter, feel free to contact me, Chris Cervellera of CERV LAW, PLLC in St. Petersburg, Florida. Note: This article should not be construed or interpreted as legal advice nor the formation of an attorney-client relationship. I’m proud to announce the launch of my law firm, CERV LAW, PLLC in St. Petersburg. Through this firm, I will serve entrepreneurs, small businesses, individuals and professionals in St. Petersburg, Tampa Bay, and throughout Florida. By leveraging my legal skills and training, years of business and leadership experience, and commitment to creativity & innovation, I hope to transform the way legal services are offered to entrepreneurs, small businesses, and professionals. I’m also passionate about utilizing my legal skills to provide pro bono legal services in my local community. Learn more about my areas of focus. Well, “CERV” is a shortened version of my last name, the first four letters to be exact. During law school, a few of my friends started calling me “Cerv” (probably because they were too scared to pronounce my last name). Since then, the name has stuck. Each letter in CERV stands for a quality that defines my commitment to my clients through this firm. Learn more about the “CERV” Commitment. Family & Friends: I’d like to thank my family and friends who have supported and encouraged me throughout the establishment of my firm these past few months, and also throughout law school and the bar exam. My success is truly shared with you. I am humbled by your support and thankful to have all of you in my life. Stetson University College of Law: I’d like to thank my classmates in the part-time program and my professors at Stetson Law. It feels weird saying this, especially publicly, but I actually miss law school. Specifically, I’d like to thank Chris Covell, Glenn Bukowski, and Steve Gower for being too scared (or too lazy) to say my last name and for giving me the nickname “CERV” (BTW… you have no rights in the name). My TAG Alliances Team & Community: I’d like to thank Richard Attisha and Melisa Attisha, my employers, for allowing me to create this venture while maintaining my role as Executive Director at TAG Alliances (I’m not going anywhere). I appreciate your confidence and trust in me. Additionally, I’d like to thank the hundreds of lawyers, accountants, and advisors in TAG Alliances who I count as friends and mentors. I’d also like to thank Peter Appleton Jones and Anne Appleton Jones–words can’t express how thankful I am to you and your family. A Few Mentors: I’d like to thank my longtime mentor Bob Sattin for his honest and trusted advice. Also, I’ve recently had the opportunity to connect with a number of local lawyers in St. Petersburg. Specifically, I’d like to thank Douglas Jackson. Doug is a fellow solo attorney and he has been more than valuable throughout this process in sharing his own experiences. I’d also like to thank my former professor and local St. Petersburg attorney, James Martin. It was actually Jim’s idea for me to start my own firm while Doug pushed me over the edge. The Garrs: My sister and brother-in-law, Megan and Andrew Garr, are amazing cinematographers and photographers through their business, The Garrs. They are so amazing that they even made my mug look halfway decent in my professional photos haha. The Florida Bar’s Practice Resources Institute “LegalFuel”: The leadership, both current and former, of the Florida Bar should be commended for putting together their Practice Resource Institute, now called LegalFuel. It is a comprehensive and invaluable resource for any lawyer in Florida who is looking to establish a firm. The St. Petersburg Bar Association: Recently, I’ve attended a few events organized by the St. Petersburg Bar Association. In addition to the quality of the professionals, I’ve been impressed with the openness and welcoming spirit of the group. I look forward to getting more involved in this local community of peers. Regions Bank: Since 2004, Regions has been where I have conducted my personal and business banking (back when they were still AmSouth!). I’d like to thank my local banker in St. Petersburg, Bruce Andrulis, for his positivity and his help with this venture along with my other personal & business banking needs. IMHO, Bruce is the best banker in St. Petersburg. Thanks to everyone above and those who I didn’t mention. I look forward to making you proud through CERV LAW, PLLC. Please contact me if I can be of assistance to you, your family, your friends, or anyone in your professional circle.